Patrick Yandall is a jazz guitarist with a constant contribution to the music scene. Born in Bay City, Michigan, he found his luck in San Diego and L.A., where he has established himself as session musician. Besides performing on sessions Patrick is recording tracks for the Weather Channel and jazz Muzak that you hear in malls and other places. Patrick started his solo career with That Feels Nice (1994), followed by A Lasting Embrace (1997), Of Two Cities (2000), Back To The Groove (2001), From The Ashes (2003), Eyes Of Mars (2005), Samoa Soul (2006), New York Blues (2007), Laws Of Groovity (2008) and this year A New Day (2009). His new album is devoted to the smooth jazz genre and features besides multi-instrumentalist Yandell himself Marc Pierucci (keyboards, percussion, bass and drum programming) and Jeff Laakso (sax). Patrick wrote all songs on this album, which is today's by no means common practice. A New Day is not limited to a pure date. It's a philosophical and historical attitude of mind. The positive will that there is a chance to change the conditions to something better. This strong believe is also part of Patrick's thinking and expression of his music. Patrick often interprets his thoughts in guitar chords like on Urban Flight. The clear and crystal guitar sound is underlined by urban bass and beats. Marc Pierucci adds impressing synth sounds. This musician from Nevada should definitely create his own website to get more promotion. Patrick proudly shouts out: "I Am There!" And his guitar is unmistakably unsurpassed and unfaultable to hear. A great praise for Jeff Laakso's superb horn arrangement with the Kickass Brass section. The guitar-fueled Do You Feel showcases more of Patrick's relaxed smooth jazz guitar style. Comparison with Wes Montgomery, George Benson and other guitar legends are allowed. No Yandall album without funk. Pistons Stomp brings the funky notes. It's a formidable listening pleasure when Patrick runs the frets. Marc Pierucci puts his keyboard into the performance just in time. On Full Force Patrick takes a sleight adaption to the old hit Walking In Rhythm by the Blackbyrds but he works the theme in different directions and gives it a new twist. The mellow If You Love Me reveals the silky guitar sound and the romantic vein in Patrick's heart. The sunny side of San Diego with beach, sea, surfing and relaxing life is incorporated in Sun Diego. Have a nice day! Yandall has followed a path based primarily in jazz and blues. Patrick calls this edgy way simply The Path. LC Squared is pure guitar mastery. Patrick wrote Mr. Fattburger for keyboardist Carl Evans jr., co-founder and member of the smooth jazz group Fattburger, who died on April 10, 2008 at a San Diego hospital in an age of 53. The band was named for a song that Mr. Evans wrote as an ode to his favorite hamburger. The significant synth sound reminds of Evans' work. 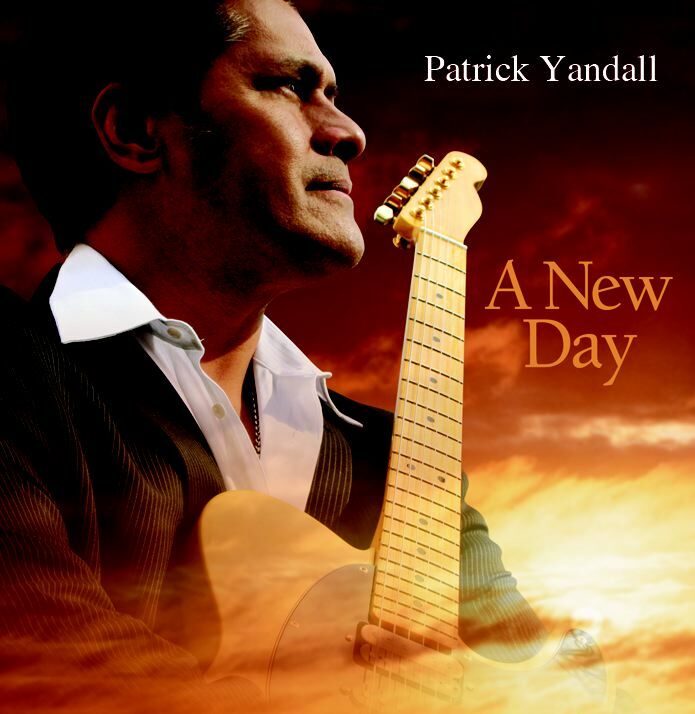 Patrick Yandall's A New Day is delicious and appealing. Exactly the nucleus of fine smooth jazz guitar music.